LORDSTOWN, Ohio - On Sunday, April 14, Sen. Bernie Sanders (I-Vt.) will join American Federation of Teachers President Randi Weingarten and members of the AFT-affiliated Lordstown Teachers Association to discuss how General Motors’ Lordstown plant closure is hurting the community—and how to fight back. The town hall is part of the 1.7 million-member AFT’s 2020 presidential endorsement process, announced March 20—in which the union’s members across the country will engage directly with candidates on how to champion their concerns and political priorities as Election Day draws closer. Last month, GM shuttered its Lordstown plant, which manufactured the Chevy Cruze, leaving 1,400 workers out of jobs after years of shift cutbacks. The AFT represents teachers at Lordstown schools, many of whom have family who worked at the plant or local suppliers. The union has since released a report, in conjunction with the national Hedge Clippers campaign, showing how hedge funds pressured GM to pursue closures and stock buybacks rather than invest in production. GM’s decision to shift Lordstown and other Northeast plants to “unallocated” status has drawn the ire of families and communities that loyally built and bought the company’s cars for decades. On Sunday, union members—including educators whose families and students are affected by the plant closure—will discuss with Sanders and Weingarten how to defend and grow middle-class jobs for those left behind by the Trump administration’s failed economic agenda. 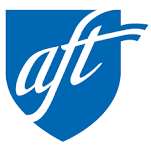 The American Federation of Teachers, an affiliate of the AFL-CIO, was founded in 1916 and today represents 1.6 million members in more than 3,000 local affiliates nationwide.